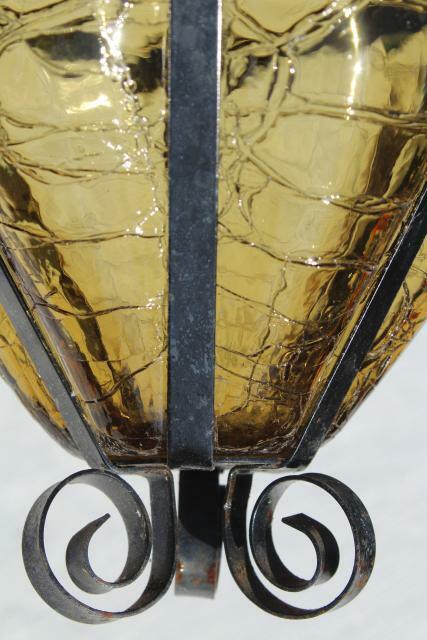 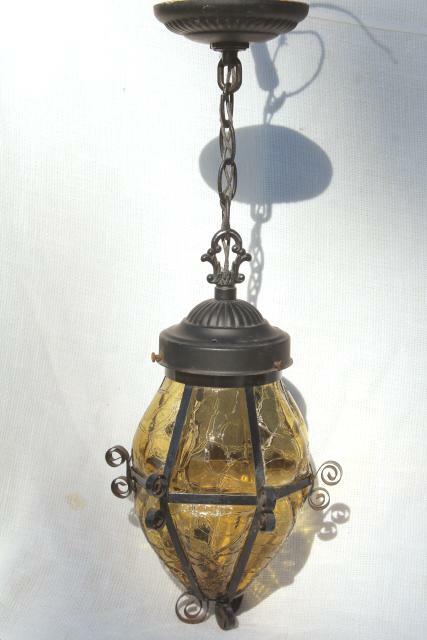 60s vintage black iron hanging light, Old Mexico / Spanish colonial style! 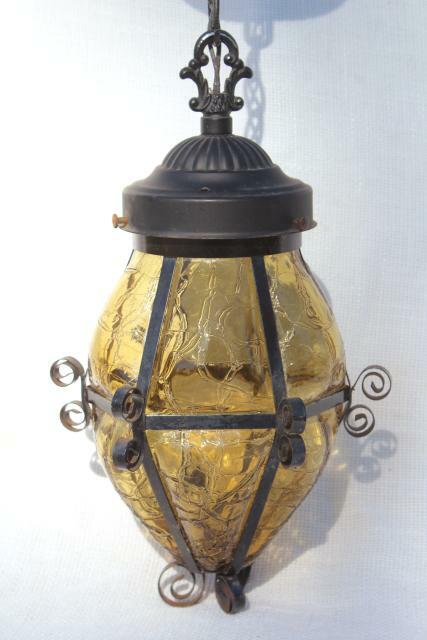 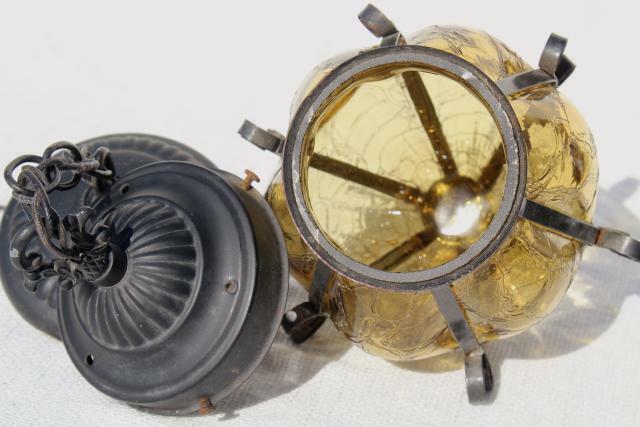 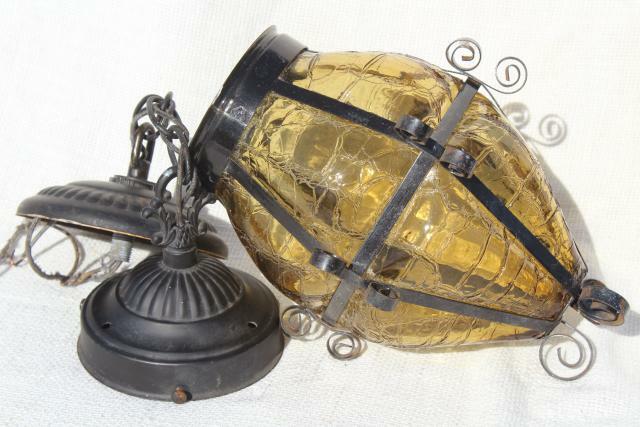 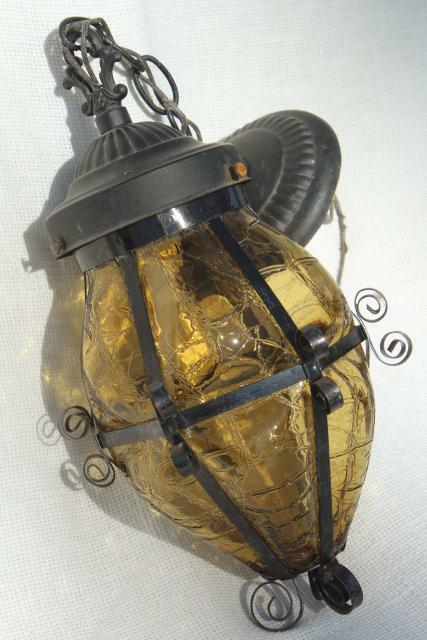 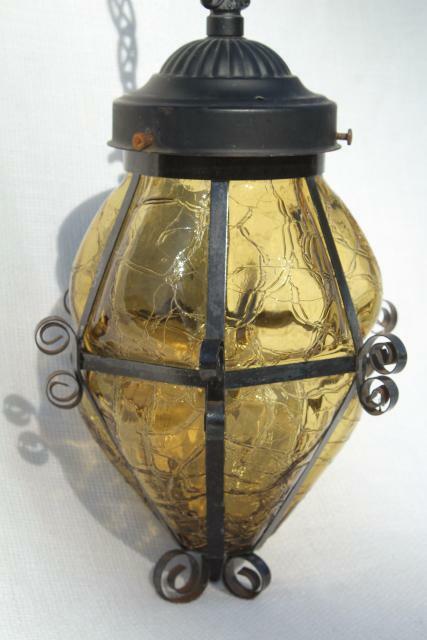 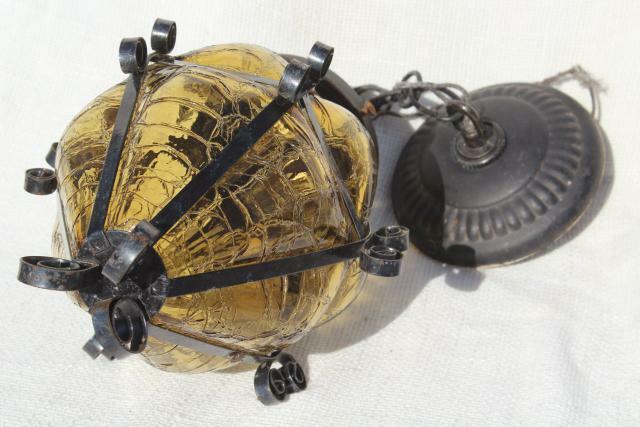 This has a amber colored pressed glass globe, and measures about 20 1/2" long overall. 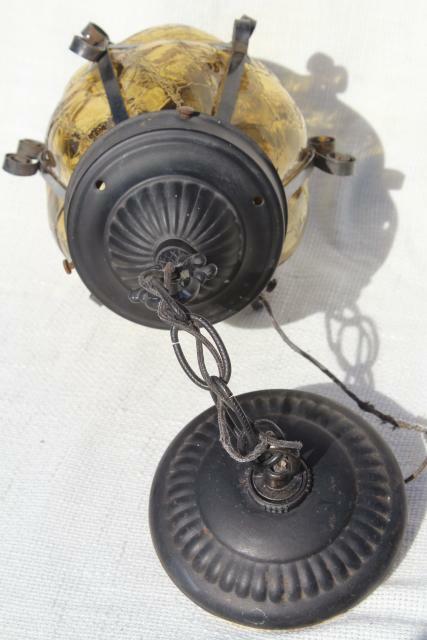 This has the worn original finish, somewhat spotted with rust. 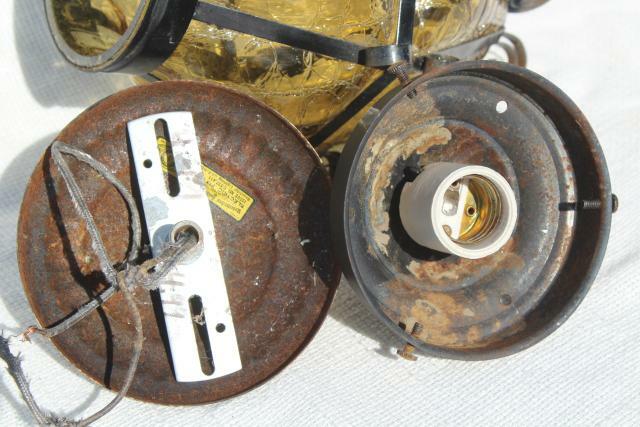 The wiring is all original too, you might want to rewire this.